Perfect for medium brown to black hair colors. • Medium brown to black hair colors. This stuff is amazing!! I’ve tried so many different dry shampoos, with mixed results and a whole lot of residue. I didn’t have to use a whole lot of this to get great results, so I expect it to last me for quite a while (which definitely makes it worth the price). This leaves my hair feeling light and clean, and it smells wonderful! hello all, this product is defiantly a five star product. I have shiny, oily, sticky hair on days that I don’t wash my hair. But, I love this dry shampoo because I can tell that it thats the oily stickiness away. I love how lovely it smells and I just don’t want to wash my hair again, just so that I can use this dry shampoo. Its really an amazing product. The smell is fab and it works well, but this can be a little messy. I like that it’s brown so it blends into my hair better, but at the same time, if I spill any onto my face, or the sink, or whatever, it leaves a big brown smudge that is hard to get off. Also, if you try to work it into your roots with your fingers, it’ll turn them brown too. I’m torn! This is a great product. Some comment it may stain clothes or sink area. Putting on clothing after application and not wearing light colored clothing will help. I put a dedicated towel down over the sink area just for this use, and using a wet wipe &/or a little soapy water to rinse the sink is not a burden. The dry shampoo does not come off or stain your fingers after it’s been on a little while. Only soap will remove it so the person with problems in the rain may have gone out into the rain immediately after application. Using a makeup brush with a rounded head like a blush brush works well, I would not recommend putting it on with your fingers. It’s a very nice product to even cover some gray and the scalp when you don’t have time to henna your hair. It has a nice pleasant scent. 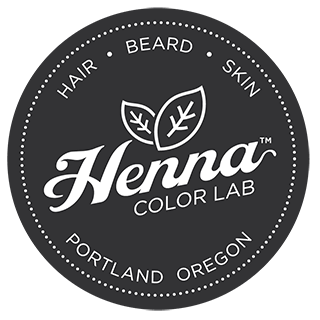 I highly recommend all Henna Color Lab products. So grateful to them for helping us Live naturally. Keep up the great work. with regards to using a makeup brush to apply, you can pour some of the dry shampoo into a small dedicated dish or into the jar cap (overturned) and dip into that. Lay down a piece of parchment paper, creased (folded in half once and reopened, around 10″ x 11″) and work over that. Anything that spills will drop onto the paper which is easy to pick up and fold to pour the contents back into the jar. All of this I do over a dedicated towel which I shake off into the sink if there is any remainder. Lightly brush off your face and shoulders if needed. A light rinse/wash of the sink and you’re all done. Hope these ideas help! I love this product. I am a older African American with quite a bit of gray hair in the front. I use this product at times when I don’t have time to do a full henna coloring.